Even something as seemingly harmless as personality profiling can stifle people if you're not careful. There are many things that organisations do wrong when it comes to their employees. The biggest and most damaging one is not allowing them to reach their full potential. An employee who is constantly told that they should stick to their job and not bother giving opinions on things outside of their scope of work will eventually do just that. Any progress that might have come from even just one of this employee’s ideas is now gone forever. In addition, this employee will slowly but surely become completely demotivated and either look for another job where they are heard, or stay in your company, do what they must and achieve nothing extraordinary. 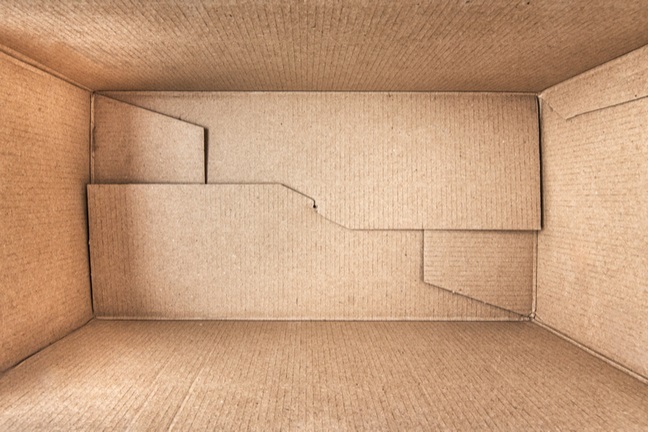 There are many ways in which organisations box in their employees. This includes a lack of employee upskilling, refusal to let employees discover other positions within the organisation and ignoring any suggestions they make outside their scope of work. But perhaps the most insidious way organisations box in their employees is the personality profile. You might think that letting employees complete a questionnaire and then labelling them according to your personality profile of choice is not a big deal. And yes, to some people this is not a big deal and in some organisations this is necessary for security and other purposes. However, there can be a downside to personality profiles in the workplace. This article will refer to an actual scenario that took place in a big corporate organisation to point out three of the most damaging messages that employees might take away from being characterised according to a personality profile. A unit manager of a big corporate organisation decided that, in order to better understand those who report to him (about 20 people), it would be a good idea to have the entire team complete a well-known personality profile. This required each employee to complete a questionnaire developed by the said personality profile and then submit it for use during a team workshop. Shortly after completing the questionnaire, each employee was debriefed by someone who was trained in the profile in question, but had little to no experience or qualifications in psychology. The detailed report that was received after the questionnaire had to be taken to the workshop, where it was often referred to. The workshop started with each employee standing on a Twister-like map. They then had to tell the group into which category they fell, which other category they admired and which one they struggle to understand. Thereafter, the facilitator went through a text-heavy PowerPoint presentation where she discussed (or, rather, read) each type’s characteristics, bad and good qualities. This is where things started to go downhill. The second-last activity for the day involved all employees returning to the Twister-like mat and ‘solving’ a problem they had by walking to each personality type and using some of their characteristics to solve said problem. The session concluded with a debrief during which each person had to, again, identify their type and tell the group what they found valuable about the workshop. Note that no-one was motivated to raise any concerns they had. While the facilitator pointed out that each type is unique (only as far as its boundaries would allow, however), it was made clear that you ‘had’ to fit in one of the types. It did not matter if you felt that you did not fit into any of the categories, what mattered was that you placed yourself neatly into one of them. Any deviations from said category were explained away as ‘an exception’ or ‘you just lean more towards one of your secondary types’. This message is damaging, especially to those who easily feel threatened or anxious when they are forced into the proverbial corner. Even if their ‘type’ often displays this kind of behaviour, it does not help to negate their concerns by simply saying ‘Oh, that is typical of that type. Just let them work through it and ignore them.’ This could have a damaging effect in that this employee will feel ignored and disrespected, which might have a number of damaging consequences. The facilitator mentioned a lot of workplace scenarios or tasks that would be better suited to certain types, without taking into account their actual role in the workplace. E.g. she would say that one type excelled at certain tasks, when there was someone of another type who actually performed said task in the team. This had many attendees becoming defensive, because they interpreted this as commentary on their performance and work ethic when they actually took pride in what they did. This was, again, not properly addressed, leaving some employees fuming and others doubting their skills or suitability for their tasks. Throughout this session, attendees were motivated to be honest and voice their opinions. When some of the attendees did so, however, they were told to rather keep these specific things to themselves or change how they approach certain scenarios. Granted, tact and strategy are two extremely important skills in the workplace, but it should apply to all team members, not just those of a specific type. Case in point, one attendee mentioned that he felt that he was expected to adapt his approach, not because it was ineffective in performing his duties, but because it was not well-received by certain types. When asked why the other types cannot also make allowances for him, the answer was simply that the other types were not as capable of dealing with self-censure as he was. This attendee was left feeling frustrated, misunderstood and, to some extent, angry. How should this have happened? This is a clear example of good intentions paving the way to employee unhappiness. What should have been an insightful, almost fun exercise, turned into something entirely different. From the get-go this personality profile should not have been presented as a sort of ‘guideline’ to your and your team’s behaviour. When many of your manager’s sentences start with ‘As a Type This, I feel like…’ or ‘As a Type That, I want to have it done this way, I don’t care if there’s a better way’, it is easy to think that you should now also think of yourself in terms of a type. Another big pitfall in this scenario was the fact that the facilitator relied only on the profile reports to make certain deductions and claims. Furthermore, the facilitator claimed that certain types are more likely to present with certain psychological disorders. Again, while this might be the case, be very careful of having someone with no formal psychological training make these claims in front of your team. In conclusion, do not limit your team’s performance by limiting them to what a personality profile claims are their strengths. If they want to explore (and it is within the organisation’s means), let them! You never know if the quiet Type So-and-So in the corner is actually the next best thing in public speaking. Unbox their potential. Sat Sindhar is the MD at peoplehr.com and a technology expert with 25+ years of experience in HR software and business management.